I am an avid sour beer fan. The first sour beer I tasted was Liefmans Goudenband in early 2004. From there my love to seek out any sour beer to sample and learn to from those examples began! 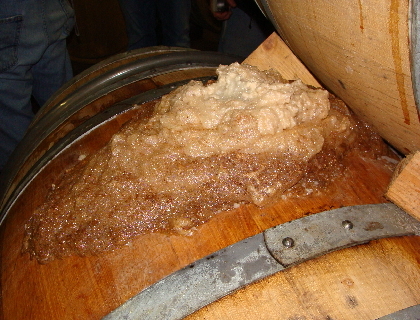 Many times bacteria and wild yeasts in beer are considered a flaw and beer destroyers. A growing number of breweries, home brewers and consumers are embracing the “funk”. The funk is spontaneous fermentation, wild yeast and bacteria that give sour/specialty beers their distinctive flavor. These types of beers have been produced for over 500 years. I hope to make the world of sour beers a bit more approachable so even more people can embrace the funk! I love it, and great start to your site! With these amazingly wild, yet refined and delicate beers, it’s all about education. I would like to thank you for your work so far. Keep up with the site I look forward to seeing the direction it goes! Email me I’ve got some goodies on Brettanomyces for you and brewing Wild and Sour beers! I work for Upland Brewing Co. and was wondering what the best way to send you press releases about our sour ale program is. If you’re interested in receiving this information, please email me with your contact info.